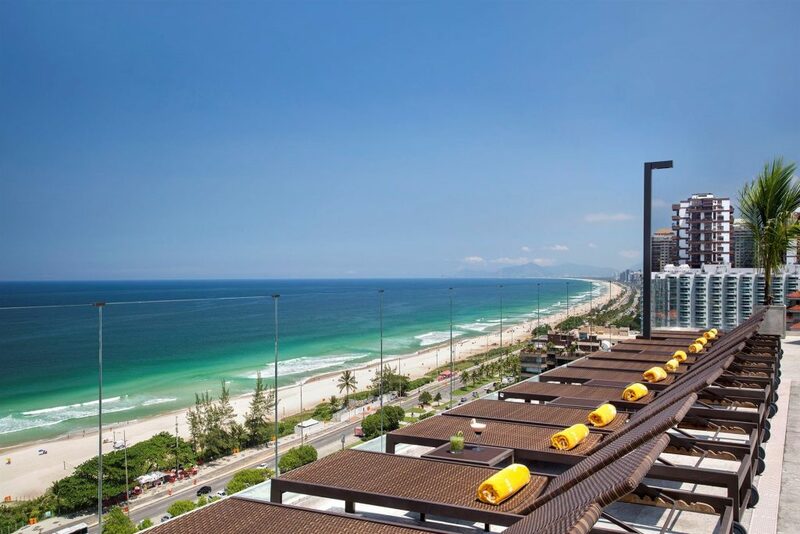 This four-star, recently opened, is located a few steps from the beautiful beach of Barra da Tijuca, the longest beach in Rio de Janeiro, with several options to practice outdoor sports and several kiosks on the boardwalk for a great day at the beach along with family and friends. Minutes from the hotel, find various attractions that the bar offers such as parks, nature reserves, shopping malls, concert halls and a spectacular nightlife. Enjoy the view of the beach bar and relax in the pool. Hotels Windsor and Windsor Barra Oceanico are connected by a heated walkway, facilitating guests access to the hotel’s leisure areas. Enjoy all the comfort that the Oceanico Windsor Hotel has to offer. Enjoy national and international specialties in our restaurant, or a delicious drink at the pool bar. Enjoy the Barra da Tijuca has to offer, day or night, this four star hotel offering a lot of fun, delicious cuisine and impeccable service. To enjoy unforgettable family vacation or a business trip in Rio de Janeiro Windsor Oceanico is a great choice in Barra da Tijuca, the most modern district of the city.